Driven by a vision to achieve significant growth in the industry, we are engaged in providing a wide range of Wooden Incense Box. Wooden incense boxes with polish finish. 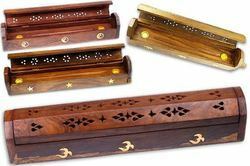 Wooden Incense holder jali 12"
We are the leading manufacturer and exporter of Wooden Incense Boxes. We are a unique entity in the industry, actively committed to providing an optimum quality range of Wood Incense Resin Holder Box. 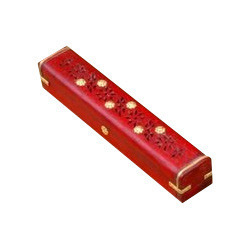 Wooden Incense Box offered provides for a classy finished looks and come manufactured from quality wood which makes these provide for exciting usage value. We are looking forward for Distributors and Retailers for our Brand "Malti Agarvarthi" at all India Level.